FutureCeuticals, Momence, IL, has received Certification and NGP Verification of their patented Coffeeberry coffee fruit concentrate by the Non-GMO Project. 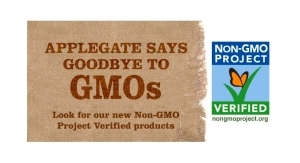 The Non-GMO Project's Product Verification Program is a process-based and product-based program designed to confirm that a given product or ingredient is not genetically modified according to the rigorous Non-GMO Project Standard. The core requirements are traceability, segregation, and testing of ingredients at critical control points. 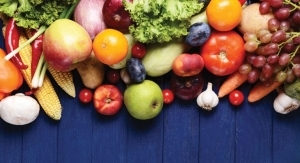 "FutureCeuticals has always sourced Non-GMO agricultural goods, but the Non-GMO Project standard brings clarity to a previously murky area and helps assure our customers that we are committed to the highest standards of integrity and traceability in the supply chain," said Kim Rivard, FutureCeuticals' director of quality control. "Our Coffeeberry coffee fruit extract is the first of several items that we have elected to submit for certification," she added. FutureCeuticals' Coffeeberry coffee fruit products, as well as methods for preserving and processing the delicate coffee fruit, are patented throughout the world. "As we continue to expand our IP and to develop our research platform on the unique health benefits of whole coffee fruit, the Non-GMO Project banner will bring an added measure of comfort to our coffee fruit partners. It adds another mark of excellence to our formidable record as the industry's choice for safe, functional, potent, and protected coffee fruit products," said John M. Hunter, executive vice president of FutureCeuticals. The company's line of patented coffee fruit products is marketed worldwide under the Coffeeberry and NeuroFactor brand names.